This phrase has been a hot topic of discussion in the U.S. freight market over the past few years—and for good reason. There are a variety of factors behind this movement of attempting to become a preferred shipper: influx of technology, tight market conditions, and currently, one of the most compelling: we’ve been living in a carrier’s market. It implies that carriers have the luxury of choice due to more shipper demand than carrier supply. That means that shippers of all sizes and industries are concerned that they might be stuck with freight to ship to customers, but no means of delivering it for them because of high competition. This was not the case a few years ago, so trying to navigate this new territory without proper guidance has been daunting for many shippers. Luckily, there are many strategic supply chain operational adjustments—big and small—that shippers like you can take to help position your company for long-term success. By implementing a few of our top do's and don'ts, you can become more desirable to ship for—now or in any market condition—which helps drive the long-term efficiency of your supply chain in the future. Ready to find Coyote’s suggestions to get you on path towards becoming a Shipper of Choice in 2019? Let’s dive in. Give your carriers as much lead time as possible. Imagine you’re flying across the country to see your friends and family the Wednesday before Thanksgiving—notoriously one of, if not, the busiest travel day of the year. You’ve asked around and found a reliable friend to come pick you up from the airport. They’ve asked you to send your flight details in advance, so they can plan for what airport to pick you up at, what route to take to avoid the most traffic and when to leave to avoid sitting and waiting in the cell phone lot. Would you leave your friend hanging by sending your flight details at the last minute? Likely no, you would do everything you could to keep them out of the dreaded cell phone lot. We realize that it’s not always possible to know shipping schedules ahead of time and last-minute shipments pop up all the time, but the more lead time you can provide your partner carriers, the better off you’ll all be. By planning ahead, carriers are able to schedule their operations better, giving brokers more time to source options. And you’ll benefit from likely paying less. Want to see proof? In looking at the matrix (above) of real spot truckload offers made by Coyote carriers in 2017, the closer shippers inched towards the ship date, the higher the spot offers trend. Our data points revealed that given at least 48 hours of lead time, Coyote is able to secure less expensive capacity for shippers. So for carriers, more lead time means less headaches planning and while on the road. And for you, it means lower rates with higher service. Win-win. Pay your carriers quickly (and accurately). 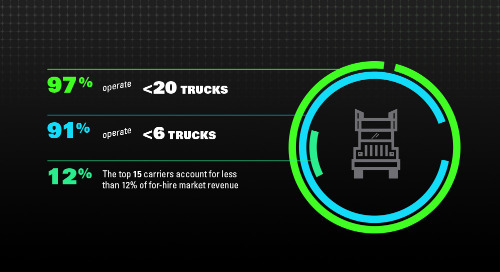 Did you know that the majority of the truckload industry is comprised of small and mid-size carriers? In fact, according to the American Trucking Association, there are over 580,000 for-hire common carriers and of those, 97% operate less than 20 trucks. Many of these carriers don't have access to a lot of financing, which means they hold a lot of value in the ability for shippers to pay them quickly and accurately. At this year’s Great American Trucking Show (GATS), Coyote asked carriers to tell us what they cared most about. Not surprisingly, of the roughly 125 carriers asked, over 10% reported getting paid fast to be “Very Important” to them. The average sweet spot of payment is 30 days and keep in mind how crucial it is to also include correct fuel surcharge and all accessorials. Because these guys operate lean, paying for those types of charges and waiting to be reimbursed can be a make or break for them. If your payment terms are longer than 30 days, talk to your AP team about the flexibility to offer faster, even same-day payment terms, when appropriate. Or at the very least, open up a dialog about your payment process to see if you can identify areas to streamline accounting practices to become more desirable in the eyes of small and mid-size carriers. Professional sports have become games driven by data. This is no more evident than in Major League Baseball. There is a mountain of data that tracks everything from a player’s on-base percentage (OBP) to their batting cage home runs (BCHR). Some of these stats seem downright useless but analyzed together they provide a picture of performance that is helping teams hedge their bets by investing in players that statistically project promise. 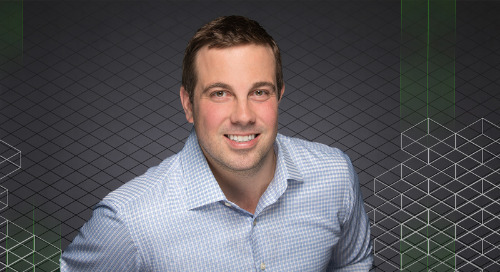 As with sports, there is more logistics data available today than ever before and successful shippers are making it a priority to invest heavily in collecting, analyzing and storing proprietary data. If you haven’t made this investment yet, the first step you need to take is to centralize your data with a proper TMS. With a transportation management system, you’re able to get a holistic view of your supply chain and create a well-reasoned procurement and operations strategy for your company. …and use data to keep score of your carriers. Can you imagine watching a baseball game for 3+ hours and by the end of the game still not knowing for sure if your team won? Sure, you had a great time and it seemed like your team performed well. Without a recorded score and confirmed winner, you’re left unsure whether they stand a chance making it to the World Series at the end of the season. With all this supply chain data available and hopefully centralized in a TMS, you can begin to create an on-boarding process with established KPIs to track with the carriers in your network. Successful shippers know that the more transparent you can be with your needs, the more likely you are to be satisfied. Treat carriers like core business partners. To continue the baseball analogy—there is something to be said for the importance of being a team player. It doesn’t matter how good of a player you are, if you don't work well with your teammates then you’ll never make it far. As with most industries, teamwork and relationships really matter, especially when it comes to working with drivers in the tight-knit freight market. Carriers, especially smaller ones, place a lot of importance on personal relationships. Their business is their livelihood, so finding dedicated partnerships and strong relationships is invaluable to keep cash flowing. One of the best ways for shippers to achieve relative consistency throughout the ups and downs of the U.S. truckload market’s cycles is to harvest and nurture stable, long-term relationships with core carriers, rooted in mutual trust and respect. Decide who you want to do business with and learn each other’s networks, pain points. business needs, and more—all the good and the bad. At the end of the day, preferred shippers know that they’re not alone in this journey. The more you can work to develop real relationships with worthy carriers, the better off in the long term you and your company will be. Have long load or unload times. In today’s fast-paced, technology-driven world, no one likes to wait. For anything. We’ve grown accustomed to—at the click of a button—having food delivered to our front door. Almost every convenience we can think of is available to us at virtually no wait. But what if it wasn’t just convenience and your paycheck that depended on it? Waiting becomes not just inconvenient, but almost inexcusable. In a survey of facility reviews by over 3,000 Coyote carriers, 51% of 1-star ratings were related to timeliness, long load or unload times. For both carriers and shippers, time is money and particularly in the post-ELD mandate landscape, drivers want to get in and out of your facility as quickly and efficiently as possible. Ensure your check-in process is quick, documented and accurately reflects when a driver arrives on the premise. Drivers do not have as much flexibility now in recording their hours of service; therefore, they are much pickier about how they spend their tightly monitored time. By building—and honoring—a reputation for short unload and loading times, you are positioning yourself as a top-quality shipper to various carriers in the marketplace. It may seem silly to even list this, but bathrooms and other basic amenities can become a make or break for some carriers. No one wants to be on the road for hours, days or even weeks at a time without the expectation of a warm welcome. Providing access to basic amenities—even just access to clean bathrooms—goes a long way in the eyes of a carrier. Life on the road isn’t easy and preferred shipper facilities often include on-site overnight parking, bathrooms, a driver’s lounge, vending machines and access to free WiFi. In that same carrier survey, 23% of 5-star ratings were because the staff at receiving facilities were friendly, polite and professional. A smile, clear instructions and a simple “thank you” are always appreciated and considerably, an easy thing to implement on your road to becoming a Shipper of Choice. For tips on other easy-to-implement changes, download our full guidebook by clicking here. We know there are a variety of moving factors that go into scheduling a delivery or pickup appointment. 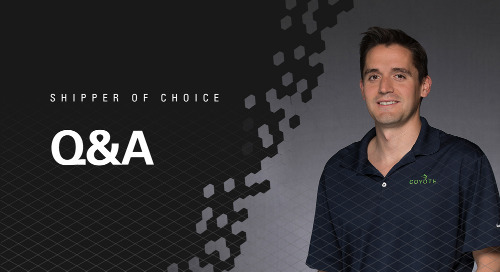 To position yourself as a preferred shipper, the more flexible you can be with your appointment scheduling, the more a carrier will want to pick up your shipments. Open appointments are especially preferred—having a window to get loaded or unloaded as opposed to a strict appointment is ideal for carriers. With a little flexibility on your end, you are opening your loads to a greater pool of capacity for carriers. Consider avoidable carrier restitution spend. Carrier restitution accessorials-- detention loading, detention unloading, truck/equipment order not used, layovers, etc.—are mostly avoidable expenses that come directly out of your budget. While they do happen, it’s crucial to keep an eye on how much you’re actually spending on these fees. Coyote’s proprietary data reveals that if more than .06% of your total carrier spend goes to paying these accessorials, you are potentially taking up too much driver time. With that said, in a tight market, drivers may choose a more efficient facility. As we already discussed, with a proper TMS in place and KPIs to match, you can watch how much you’re spending over time and take actionable efforts moving forward. Depending on the current state of your supply chain, all or some of these endeavors may seem overwhelming. Becoming a preferred shipper in a carrier’s market—or in any market—is a continuous process and one that takes strategy, vision, commitment, resources and time. By implementing any of these do's (and avoiding those dont's), your efforts will yield a promising return. As a preferred shipper, the more you can optimize your supply chain and operational process now, the better prepared you will be to move goods faster, operate leaner and increase visibility in the future. To learn even more about becoming a preferred shipper in this competitive and changing market, read our full Shipper of Choice guidebook. Or to speak with a Coyote rep about our proprietary TMS system—Collaborative Transportation Management—call 1-866-COYOTE.